When a team invests money in a player, the general idea is that the player in question will generate value by actually playing for the team by whom he’s been signed or acquired. Of course, that’s not always the case. There are multiple reasons why a team might end up cutting ties with a player but agree to continue paying part or all of his salary: to complete a trade that enables that club to get better prospects in return, to open a 40-man spot for a player of greater value, or to offset the salary of an overpaid player to make him more enticing in a trade. For a club to spend money on players absent from their roster isn’t necessarily a bad thing. Last season, for example, the Cubs, Dodgers, and Indians all had more than $10 million in dead money. They clearly had no problems competing. In his prime, Justice had been the sort of sensational hitter the Oakland A’s could never have afforded to buy on the open market. They could afford him now only because no one else wanted him: the rest of baseball looked at Justice and saw a has-been. Billy Beane had cut a deal with the Yankees thtat left the A’s with Justice for one year at a salary of $3.5 million, half what they Yankees had paid him the year before. The Yankees picked up the other half. The Yankees were, in effect, paying David Justice to play against them. It was a little more dramatic in the movie (and as Ken Davidoff mentioned to me, it was the Mets, not the Yankees), but in any event, the opportunity to potentially buy low on a player is enticing. Nor is the strategy limited merely to low budget teams taking on players from high-budget ones. All teams — or, at least, almost all teams — have a pretty good amount of money, so almost every team can afford to give up or take on a player depending on their needs. 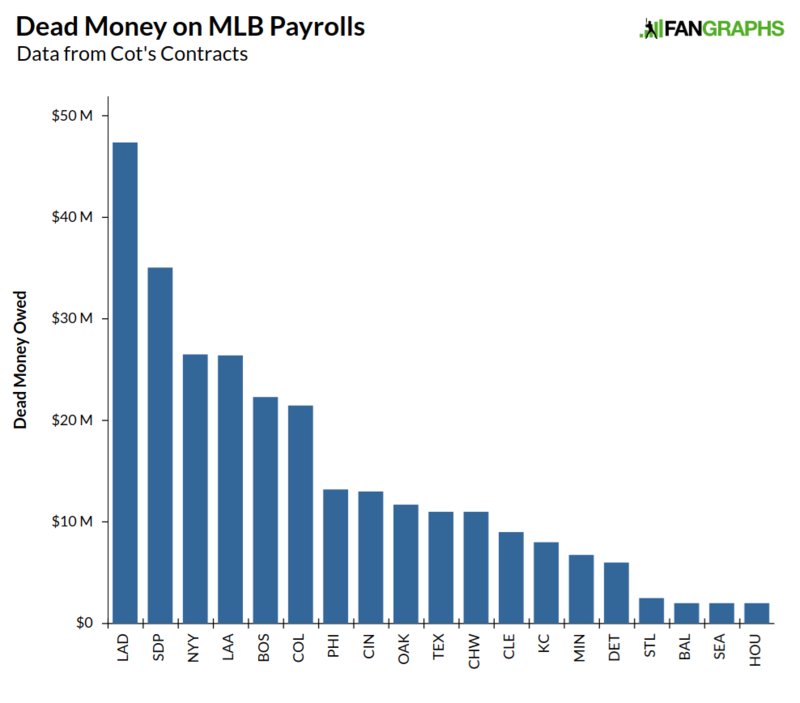 Last season, there was around $136 million in dead money on payroll. This season, that amount has doubled. In terms of teams paying the most, the Dodgers have a healthy lead, with the Padres and Yankees also devoting some payroll to players not contributing to the current club. For these purposes, dead money comes from three areas: money sent with a player in trade, money owed to a player released by the club, and money owed to a player who’s still in the organization but has been removed from the 40-man roster after passing through waivers. In terms of dollars, the players who have been released account for the most money. In the case of Prince Fielder, I reached the $9 million figure by removing both the amount the Tigers were paying him as well as the amount the Rangers are receiving for insurance. Only four of the 13 players have signed with a team in 2017. While the Phillies probably don’t love paying Matt Harrison, they were willing to take on his salary in the Cole Hamels trade in order to get a better package of prospects. A few of these names are going to show up again in the next chart, players whose teams sent along money to help the other team pay for them. As we can see, this isn’t just solely big-market teams paying down players’ salaries to move to small markets. The Twins play don’t play in the largest of markets, while Cincinnati and San Diego are both of the smaller variety. The Reds decided to move on from Brandon Phillips as they rebuild, while the Padres opted to do the same with multiple players. Some players are still with their relevant organization and could move to live money if their play warranted. Singleton’s contract generated some criticism from other players at the time, but his decision to sign a cheap extension proved to be a wise one for him. Craig and Castillo represent interesting cases for the Red Sox. Neither player currently counts toward the competitive-balance tax, but if the team were to add both players to the 40-man, the club’s payroll would likely exceed the tax threshold. While the team isn’t likely to ignore a player who recovers his value and can help the team win, those players might be at a slight disadvantage when it comes to making the team. While the first table showed the amounts teams were allocating off their roster, percentage-wise it impacts some payrolls more than others. When we account for the net of dead money both coming and going, these are the teams with highest percentages of their payroll heading away from the field this season. In terms of payroll on the field, the Padres might rival the Houston Astros team from 2013 that opened with a $26 million payroll. Billy Butler and Brandon Phillips account for a fairly significant portion of the payrolls for Oakland and Cincinnati, respectively. In total, close to 10% of team payrolls is assigned to players absent from the paying team’s 40-man roster. Generally, teams have good reasons not to have those players on their teams, from simple risk-taking to removing dead weight in order to rebuild, to taking on some other, slightly better contract that could pay off. In today’s game, we hear so much about efficiency, but these players serve as a reminder that sometimes teams are not quite as efficient as they’d like to be. We hoped you liked reading MLB Teams With the Most Dead Money by Craig Edwards! We need a new term for “dead money”. As you allude to, one reason for dead money is to acquire players under team control. This isn’t dead money, it’s just redistributed. He’s not on your list, but the Dodgers are paying Matt Kemp $3.75 million this season. That’s not “dead money” so much as “reallocated money” that netted the team Yasmani Grandal. I know you know this, but the term “dead money” is a pet peeve of mine. It’s misleading and misused by some fans. is exactly what I’m talking about. Teams have dead (reallocated) money because they believe it makes them more efficient. Take the Dodgers again. Carl Crawford – owed $22 million this year. Dodgers released him because they thought rostering, and paying, guys like Andrew Toles, Franklin Guitierrez, and Will Venable was more efficient than playing Crawford. I can’t think of anything that is more dead than Carl Crawford’s game. It may be semantics but the major reason the Dodgers signed the players mentioned was because Carl Crawford could no longer perform even though he was being paid a lot of money. It would be different if the money used to sign the other players came from Crawford’s salary but it does not. That sounds like the definition of dead money. If the Dodgers had kept Crawford on the roster, the money wouldn’t be dead. But, since they didn’t, and are getting what is expected to be more value out of the roster spot, the money is considered dead. That’s closer to backwards than it is to correct. The money’s not dead… it’s merely pinin’ for the fjords. I like this logic so if heywood is awful this year and the guy who replaces him is great the cubs have no dead money on the deal! That’s the dumb logic you’re using yes? 1) I don’t like the term “dead money” for some situations that are currently included. “Dead” certainly implies something negative. However, as the article points out, having dead money can be beneficial – otherwise teams wouldn’t do it. An example, the Dodgers trading Kemp for Grandal. The Dodgers also sent $32 million in “dead” money to San Diego. However, this money isn’t dead – it’s just reallocated as the cost of acquiring Grandal. A quite reasonable cost as Grandal has almost certainly produced well over $52 million (once framing is considered) while being paid just $3.5 million with LA. 2) The Crawford deal. This is properly “dead money” as the Dodgers are paying Crawford to stay home. Keeping Crawford on the roster (0 dead money) wouldn’t be as efficient as releasing him ($22 million in dead money) and replacing him with a better player. “Dead” certainly implies something negative. This sounds like a personal problem. There’s definitely a tangible penalty in having financial obligations to players not on the roster, but there’s no reason why you should infer any kind of judgement call in the phrase. 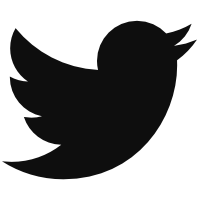 Individuals and corporations make similar sorts of rational decisions every day in the form of bankruptcy and strategic default. The negative connotation of those phrases doesn’t change the fact that the choices can be a beneficial “out” to a non-ideal situation. But the money is not ‘reallocated’ only the player is. The term ‘dead’ in this instance is referring to it’s value it’s providing to the club. Edit: Removed after reading the article!